5 in. 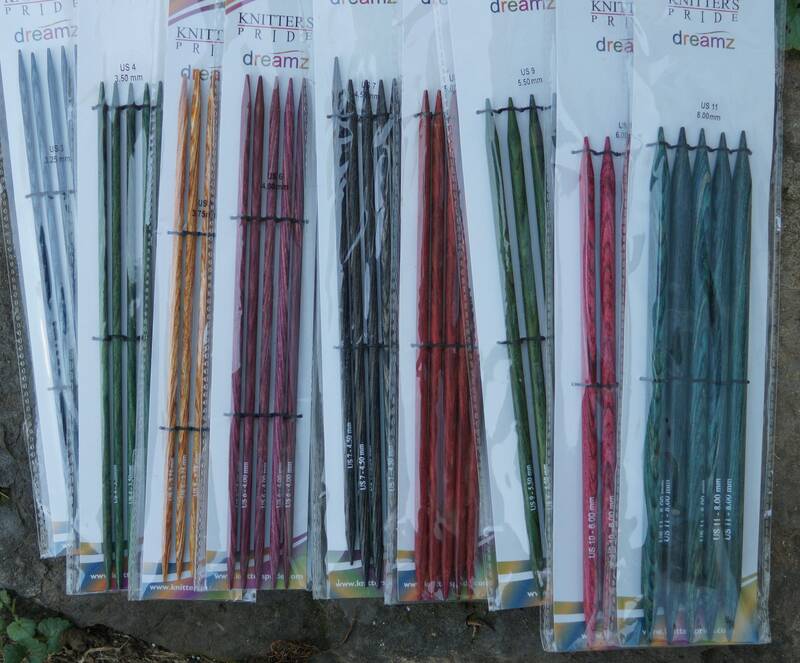 dp Knitters Pride Dreamz colored wood knitting needles, free shipping. 5 inch double point wood knitting needles, set of 5 needles. Free shipping. Warm silky feel of wood needles can't be beat for comfort. Pick your size from drop down menu. 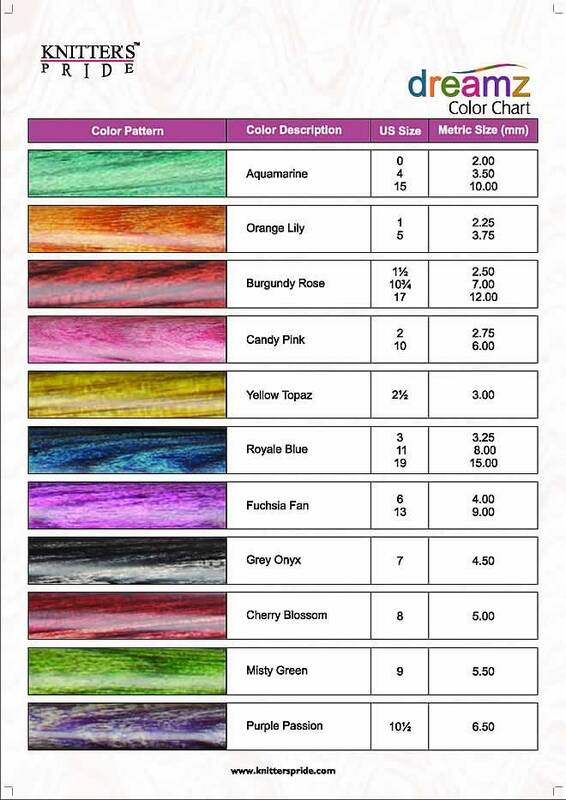 See color chart for color of different sizes.